Today we learned that the Farsi edition of Plan B 4.0 was one of two books that received an award for the Best Environmental Book of the Year by the Iranian Environmental Protection Agency. Writing a book worthy of a prize is one thing, but translating a book is another. For that, we give credit to the translation team of Drs. Hamid Taravati and Farzaneh Bahar. It would not have happened without them. The ceremony was held Monday, November 16, at Iran’s EPA in Tehran and was the first Iranian festival of environmental books. The award was presented by Mrs. Ebtekar, the Vice President of Iran and President of the EPA. Our own Janet Larsen met Mrs. Ebtekar when she gave presentations in Iran some ten years ago. 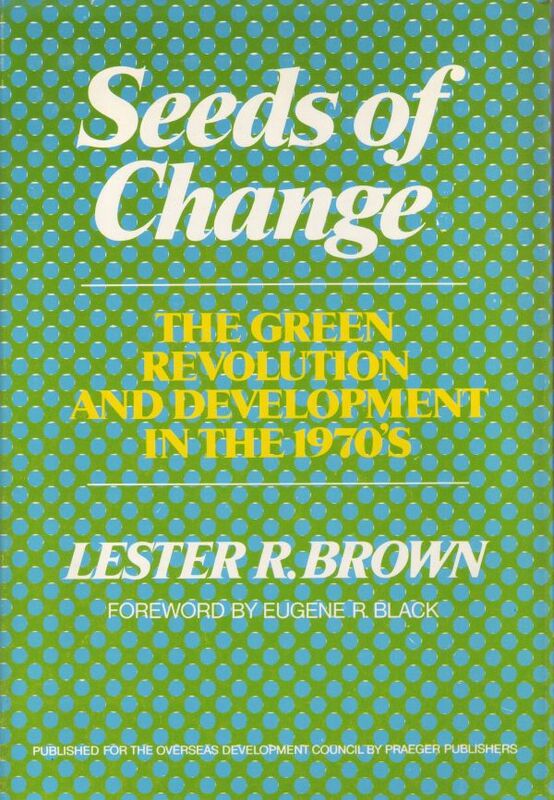 Meanwhile, last month we learned that Breaking New Ground, Lester Brown’s memoir, had received the Santa Monica Public Library’s Green Prize for Sustainable Literature. As part of our ongoing celebration of Lester Brown’s 80 years, here is an excerpt from his autobiography on his time at the Overseas Development Council (ODC). "In 1968 when Richard Nixon was elected president, I had been heading the International Agricultural Development Service at the U.S. Department of Agriculture for two years. I knew that I did not want to work in a Nixon administration, so I resigned, leaving office a week before Nixon was inaugurated in January 1969. Much to my regret, Nixon dismantled the IADS. The reason given was that U.S. farmers did not want the USDA helping other countries to develop their agriculture, thus creating competition for them. I walked away from the Nixon administration, but not from my life’s work. I had been approached by James P. Grant, a senior official at the Agency for International Development (AID) and someone I had worked with a few years earlier when he was the AID mission director in Turkey. Jim had been contacted by a group of U.S. opinion leaders who wanted to start a research organization to focus on third-world development and the U.S. role in it, and asked if he would head it. After the extraordinary success of the Marshall Plan and the enthusiasm it generated, U.S. public support for international development was waning. The group wanted to create an organization, the Overseas Development Council (ODC), to try to reverse this trend and restore U.S. support for international development efforts. These goals meshed nicely with my sense of what needed to be done. Jim said he would take this position if I would join him. Jim offered me the position of vice president, but having just been in a management position I indicated a preference for being a senior fellow and concentrating on research. At this point there were many issues that I had been thinking about and wanting to write about. Jim understood. Within a few weeks, we signed a lease for space at 1717 Massachusetts Avenue NW in the heart of Washington’s Think Tank Row, and in January 1969 the ODC was born. This period was a particularly yeasty time in U.S. history. It was in 1969, that the country made good on Kennedy’s bold 1961 promise that the United States would land a man on the moon during the decade. The photograph of the earth taken from outer space reminded us that political boundaries, not visible from space, are mere human constructs." 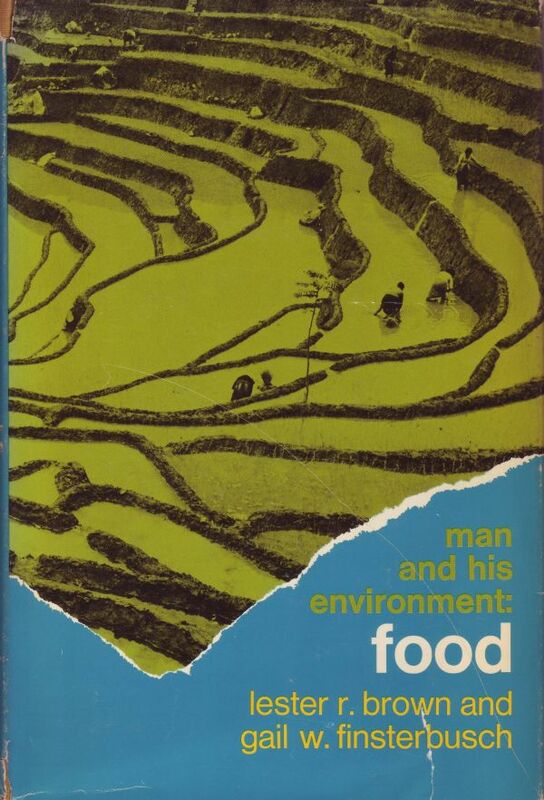 While at the ODC, Lester authored Seeds of Change (1970), Man and His Environment: Food (with Gail Finsterbusch) (1972), World Without Borders (1972), In the Human Interest (1974 ) (for the World Population Conference), and By Bread Alone (with Erik Eckholm) (1974) (for the World Food Conference). The New Yorker described World Without Borders as “an encyclopedic, lucid assessment of some of the world’s persistent problems … and some carefully documented, highly plausible suggestions for solving them. 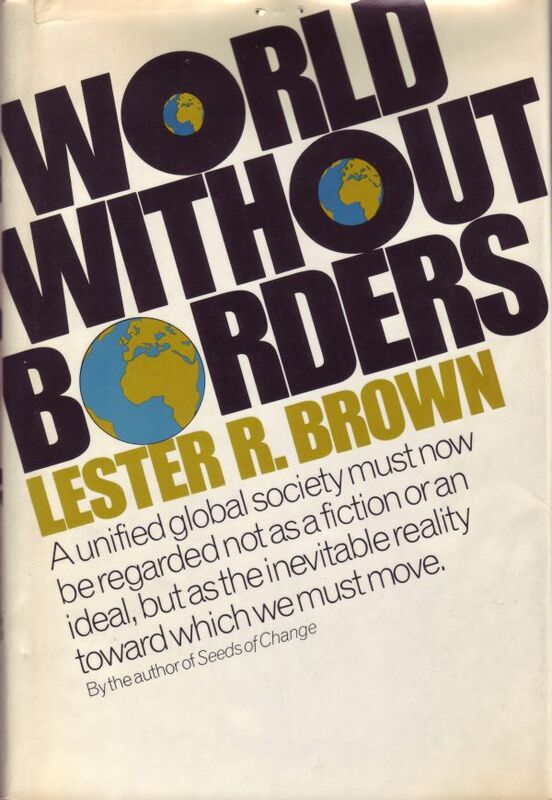 [Brown] persuasively argues … that the day of the militaristic nation state is over, and that a unified global society is the only hope for survival.” This book was about globalization well before the concept was widely used. 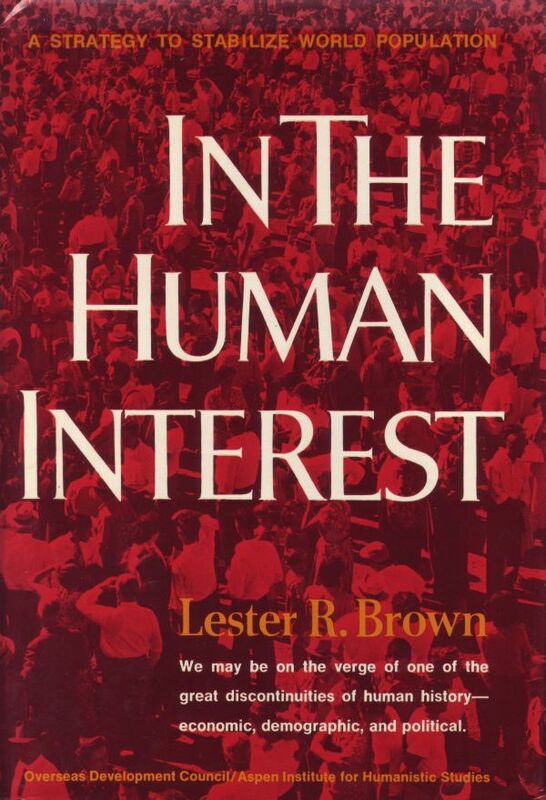 The United Nations Population Fund had asked Lester to write a book for the World Population Conference. “They wanted a book that dealt with the many dimensions of the population issue, including not only food but other resources and the relationship between social conditions and fertility levels.” This became In the Human Interest. Because no other official document providing an overview of the food situation was delivered to the World Food Conference, By Bread Alone “became the leading source of information for anyone looking for an up-to-date account of the world food situation and future prospects for eradicating hunger.” By Bread Alone and In the Human Interest were written and published just months apart. To read more of Lester Brown's life, purchase a copy of Breaking New Ground .